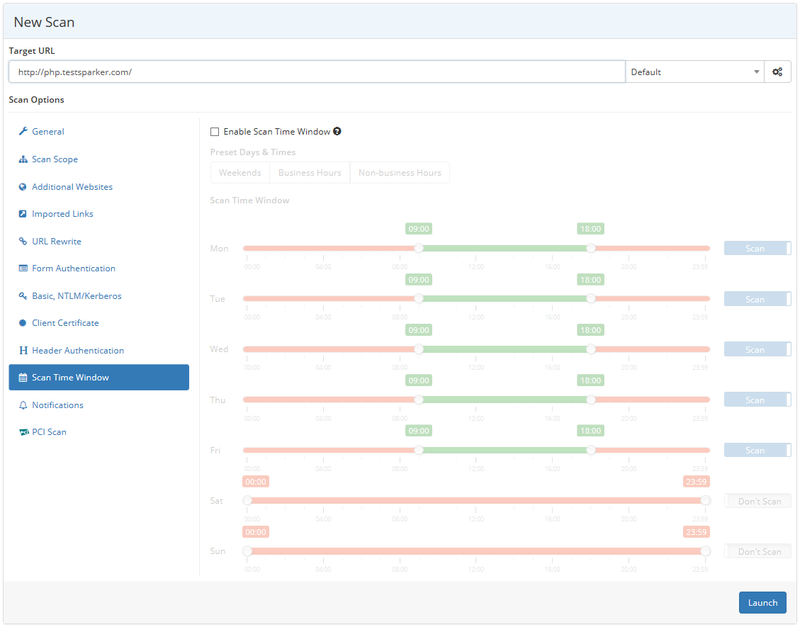 A Scan Time Window allows you to specify the time during which a target website can be scanned for vulnerabilities with Netsparker Enterprise online web application security scanner. 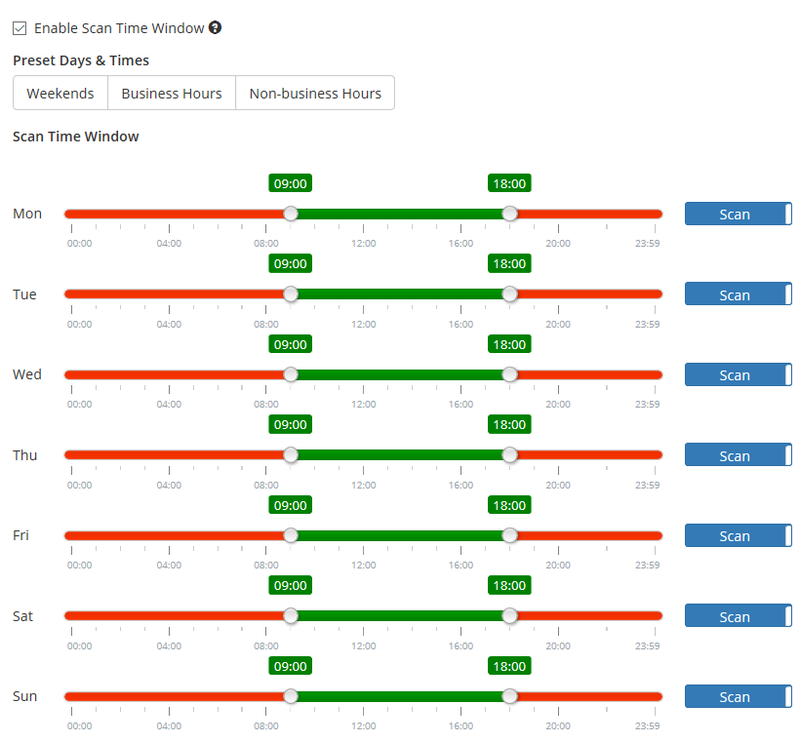 For example, if you want to exclude all scanning activity during office hours, you can do so by configuring the Scan Time Window. So if a scan runs during that time, it will be automatically paused and resumed when scanning is allowed again. In Scan Options, click the Scan Time Window tab. Enable the Enable Scan Time Window checkbox. The Scan Time Window options are enabled. Select the Preset Days & Times option for preset configurations that can be changed.